It’s high quality will keep your tachograph run longer than ever. 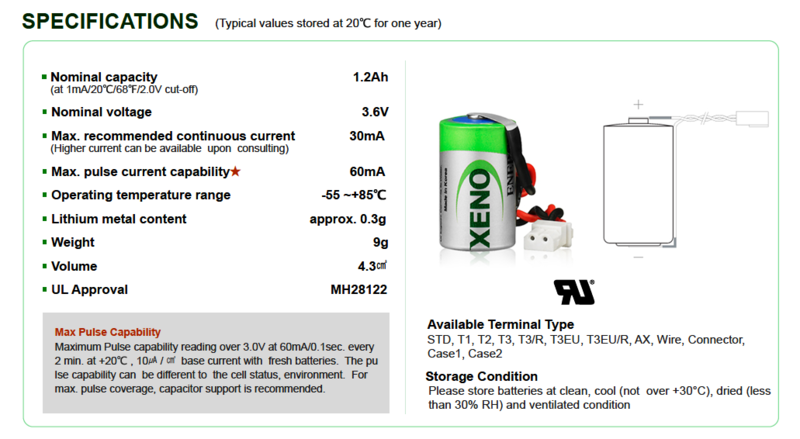 With lithium power and a unique size, the Xeno XL-050F is a 1/2 AA sized battery that is used for powerful industrial electronics. 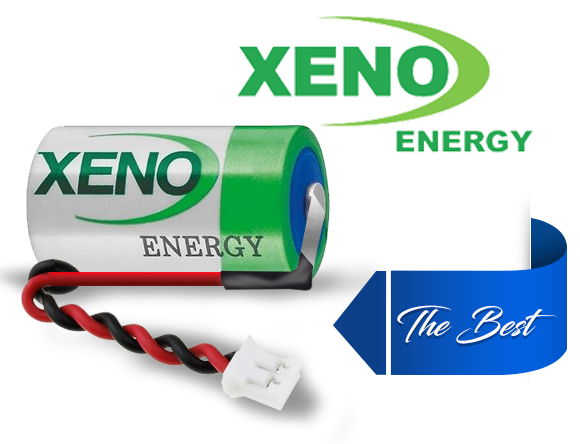 Xeno XL-050F lithium battery with 3.6 Volts of power and 1200mAh capacity provides long and reliable running time. 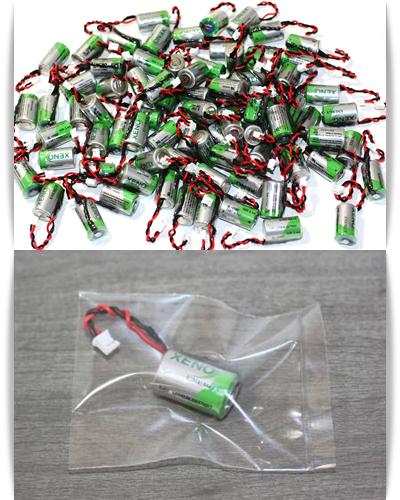 At the request of the customer we provide service of packaging batteries in single insulated heat sachets, made of high quality water-resistant foil. 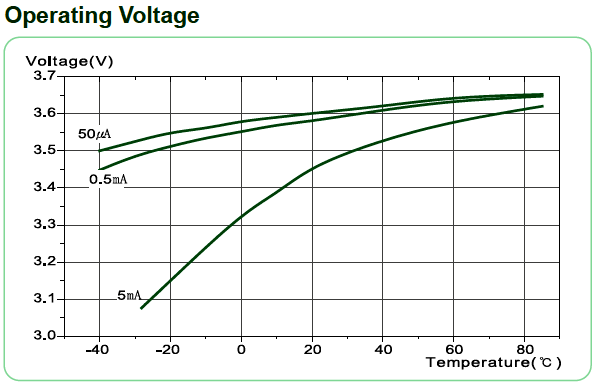 This way the final client is assured that the battery pack is completely new. 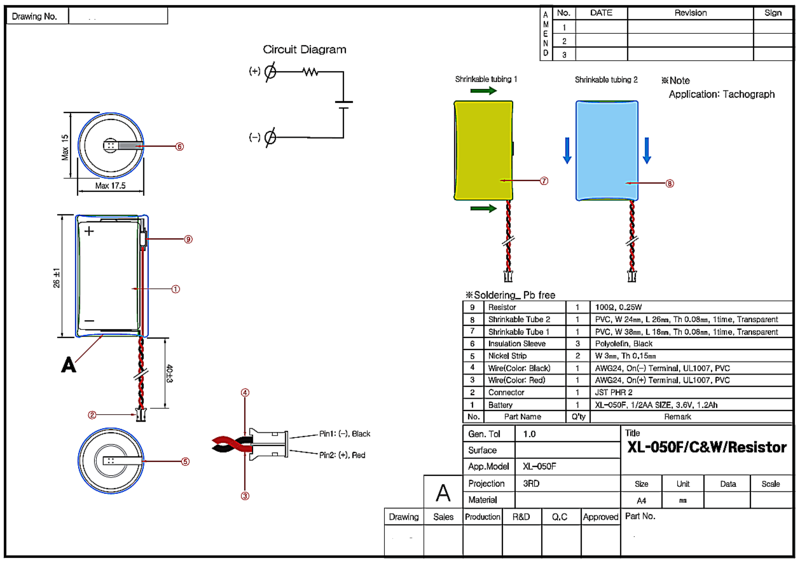 Part of the tachograph, Heaters, Tachographs, Paper, Sheets.